This is often the scenario played out by the friendly, opportunistic large dog, or a friendly small dog in an unpopulated area. They took the opportunity to go for a wander, smelling new smells, maybe chasing chipmunks and rabbits; but they never gave a moment’s notice that they forgot to bring the map. As we discussed in Part 2, the chance that the small friendly dog got picked up quite early in his adventure is very high. But today, we are going to talk about the larger friendly dog that was having a good time but ended up a long ways from home. (In particular, think hounds, labs, huskies, spaniels, setters, pointers, German shepherds and other working and sporting breeds). Whereas, shy lost dogs will often stay within a five mile radius of where they went missing, friendly lost dogs may travel in a linear fashion, zig zagging across the countryside. These dogs may find their way back home IF you give them a helping hand by leaving food, their bed, and familiar scented articles out for them at the place they went missing from. Do this the entire time they are gone. Refresh the food daily with new smelly canned dog or cat food or some leftovers you are having. Dogs return by scent, not by sight or sound. So that same nose that led him away, may lead him back. But you don’t want to rely on that, because there are far too many other scenarios that could have occurred. He could have gotten chased by people who thought he was “just a stray” and didn’t want him in their yard or farmyard. 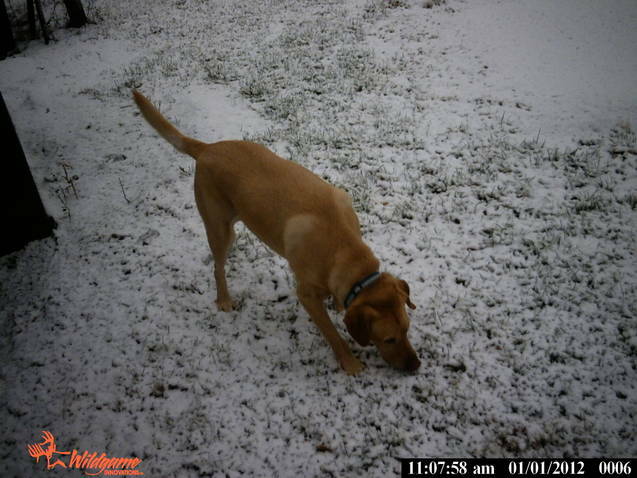 He may be seen but be assumed to be a wandering farm dog and nobody calls in the sightings. He could have crossed a river or a bridge and can’t figure out his way back. He could have been picked up by a Good Samaritan, animal control or the police across a state, county or jurisdiction line and have ended up in a shelter, animal control facility or stray holding facility many, many miles away. He may have found a food source or some friendly doggy companions at a farm and decided to stay awhile. In our experience, most farmers won’t proactively look for an owner, but will let them hang out as long as they aren’t causing trouble or chasing livestock. He may do this numerous times, staying somewhere for a few days, then moving on again. He will eventually end up at a farm, business, or backyard or driveway of somebody who decides to either proactively look for the owner, turn him in, or keep or rehome him. If they decide to proactively look for an owner or take him to the correct stray holding facility for the area, great! Except that by this time, the owner may have given up or they may not be looking in the right spot. Compound that with the problem that many of these larger friendly breeds look alike (think black lab or yellow lab) and it becomes even tougher to find your dog. Expand your flyering area quickly. Start with a 50 mile radius and then expand to 100 miles. Enlist friends and family to help you. You may want to use an automated calling service or the USPS mailing service called “Every Door Direct Mail” to help you. Check out our Generating Sightings pdf on this website for more ideas. When you get a sighting – go in and heavily re-flyer that area. Place a yard sign in your own yard. Place ads in your local newspaper and surrounding newspapers. Many small newspapers are owned by larger companies that can target many communities with one ad. Place an ad with the local radio station also. Assign a couple of Facebook and tech savvy friends to post on as many different social media sites as possible. Make sure you include a picture and contact information! Many neighborhoods, on line newspapers, vet clinics, pet supply stores, restaurants and bars have Facebook pages. It is an easy and free way to spread the word. Use intersection signs at strategic locations to catch the eye of the highest number of motorists. Check Google satellite photos for paths he could be travelling on – railroad tracks, jogging and hiking trails, old logging roads, etc. Do not limit your thinking with geographical boundaries – “he wouldn’t have crossed that river, or that busy freeway.” Chances are he did and he will. If you have a familiar looking dog (lab, golden retriever, etc), don’t be afraid to disclose specific details on your flyer. What color collar was he wearing? Distinguishing birthmarks, size, etc. You will need the help of the community and animal shelters to identify him. Check out every possible lead even if it seems impossibly far away. Never underestimate the distance your dog can travel. Don’t be surprised if your dog doesn’t recognize you at first or doesn’t perform specific behaviors. The stress of being on his own and/or a shelter can alter behavior. The longer your dog is missing and the more often he is chased, the more likely it is that he will go into “survival” mode. Please refer to our series of articles on capturing a shy, elusive dog. We can tell you numerous stories of dogs that have gone hundreds of miles and been recovered. Don’t give up! Your dog is out there relying on you to find him and bring him home.